All done for another year. The weekend began Friday evening with members arriving from all over the country into Dromineer, Co. Tipperary. Some initial setting up of the Mobile Command Post was done before adjourning to a local hostelry for dinner and chat. 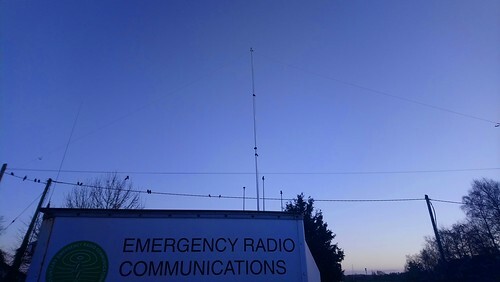 Saturday was a mixture of high level strategy followed by more practical activities, a great win over France by the Irish Rugby team, and a discussion on the merits of Digital Mobile Radio for Public Service use. Sunday looked at formal message handling techniques and their role in the context of the Framework for Emergency Management in Ireland. Many thanks to all who offered support and made the weekend happen.